The Cavalier Cowboys held their monthly 1st Sunday match today, August 2nd, 2015 at the Cavalier Rifle & Pistol Club. Congratulations to Cody Maverick as the Top Overall Shooter and to Cody Maverick, Striker, Potter County Kid, Windhorse Rider, and Grouchy Greg as our Clean All Day Shooters!!!! The scores are attached in both PDF and MS Excel formats. Coming up next Saturday we have Pungo Posse shooting their 2nd Saturday monthly match. The dress code for Sunday will be Standard Cowboy Dress. The forecast is for clear skies and 80 degrees at the start of the match and getting up to 90 degrees be the end of the match. We will have tents and fans setup and will have plenty of iced down drinking water. As usual we will be holding our Cowboy Social after the match and ya’ all are always invited to join in. The Cavalier Cowboys will be holding their monthly 1st Sunday Match, this Sunday, August 2nd, 2015 at the Cavalier Rifle & Pistol Club. The dress code for Sunday is currently Standard Cowboy Dress. However, the long range forecast is flirting with being hot enough for Cowboy Casual, so I will send out an update on Friday afternoon with the final call on the dress code, but assume Standard Cowboy Dress code for now. REMINDER, We have emailed out the registration applications for our Inaugural Two Day Match, Gunfight at the Double-C, which will be held on November 7th and 8th, 2015. You can save yourself postage and turn in your registration to BS Walker at our match on Sunday. The application and information sheet are also attached to this email. The Cavalier Cowboys held their monthly 2nd Wednesday match today. The Top Overall Shooter was myself and there were no clean all day shooters. Next up with have Pungo Posse shooting on Saturday. With the forecasted temperatures in the 90’s the dress code for the Wednesday, July 8th, 2015 cowboy match will be Cowboy Casual. 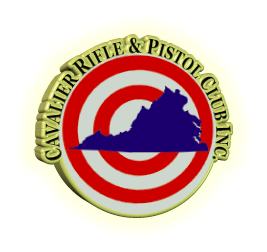 The Cavalier Cowboys will be holding their monthly 2nd Wednesday match, this coming Wednesday, July 8th, 2015, at the Cavalier Rifle & Pistol Club.